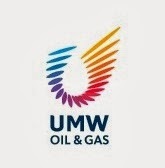 UMW Oil & Gas Corporation Bhd, which is seeking a listing on the Main Market of Bursa Malaysia Securities Bhd, will unveil its prospectus on Thursday. The company said on Monday the ceremony for the prospectus launch would be at the Grand Hyatt Kuala Lumpur at 2.30pm. UMW-OG, with its fleet of offshore drilling rigs and hydraulic workover units, provides drilling and oilfield services for the upstream sector of the oil and gas industry in Malaysia and Asean. It also acts as an agent in Malaysia for international companies providing specialised drilling equipment and services. To recap, UMW Oil & Gas proposed IPO is for up to 843.18 million shares of 50 sen each in the company. A total of 611.8 million shares will be made available to retail and institutional investors. The institutional offering involves the offer of up to 648.6 million shares, representing 30% of the enlarged issued and paid-up share capital. The price of the institutional offer will be determined by a book-building exercise. A total of 194.58 million IPO shares will be made available for retail investors at a yet-to-be determined price, representing 9% of the enlarged issued and paid-up share capital of UMW Oil & Gas. UMW Oil & Gas is involved in the upstream sector of the O&G industry, providing offshore drilling and oilfield services, including engineering and maintenance services. The conglomerate recently turned around its O&G unit headed by president Rohaizad Darus, and is expected to strengthen its drilling operations and oilfield services before looking at other opportunities in the sector. The company currently has four offshore drilling rigs; all fully taken up. NAGA 1 is a semi-submersible drilling rig co-owned with Japan Drilling Co Ltd. The other three are premium jack-up rigs: NAGA 2, NAGA 3 and UMW NAGA 4.